While most parents worry about the health of their child’s eyes and teeth, many overlook the state of their kids’ feet. Feet are amazing; not only do they enable us to stand tall and move, they support our body weight and act as shock absorbers, in turn protecting our ankles, knees, hips and spine. In young children the foot is pliable to allow it to develop, which means taking care of feet during the first few years of a child’s life is vital. 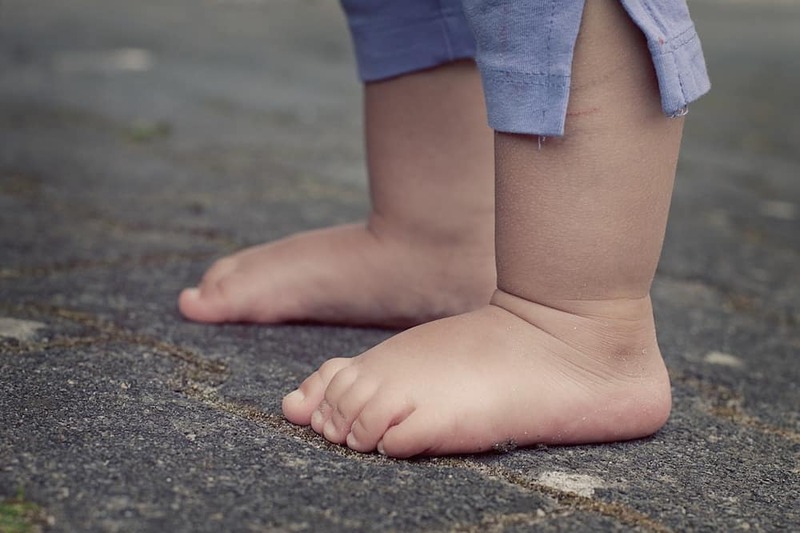 Recognising common foot complaints can help ensure that action is taken to address the problem and ensure your child’s feet continue to develop in a healthy way. Ingrown toenails are common with multiple causes. Widespread causes can include clipping the nails too short, cutting or picking at the edges of the nail, trauma to the nail due to kicking sports, excessively sweaty feet and pressure from footwear. All of these events can create a sharp edge on the nail, which can pierce the skin and lead to an ingrown toenail. The symptoms of an ingrown toenail (onychocrytosis) can include a sore toe, pain at one side of the toenail and, in severe cases, a pus-filled discharge. In most cases it’s usually the big toe that’s affected. Closed-toe shoes are likely to increase the intensity of the pain and, if left untreated, it’s common for the toenail to become infected making it difficult to walk and particularly painful to play sport. To treat an ingrown toenail start by soaking the foot daily in warm, salty water, gently patting dry and applying a topical antiseptic. If possible, refrain from wearing enclosed shoes. If the issue does not resolve within a couple of days it may require treatment by a podiatrist. This is a simple procedure that involves removing the small, sharp portion of nail causing the grief and dressing the nail to protect against infection. It usually takes minutes. In acute cases nail surgery may be required. In infants flat feet is common because they have a fat pad under the foot that hides the developing arch. By about the age of eight, the foot arch becomes apparent. Yet some children never develop an arch and this is called ‘flat feet’. Flat feet or pronated feet (foot and ankle roll inwards) can be hereditary or due to muscle length and tone. In some instances the condition causes no pain or discomfort but in other cases flat feet or over pronated feet can cause pain in multiple areas of the body including the foot itself, shins, knees, lower back and Achilles tendons. A podiatrist can help treat flat feet using orthotics, which hold the feet in their correct position and help relieve the associated pain. A detailed biomechanical analysis is conducted to diagnose which type of orthotics is best (there are many!). 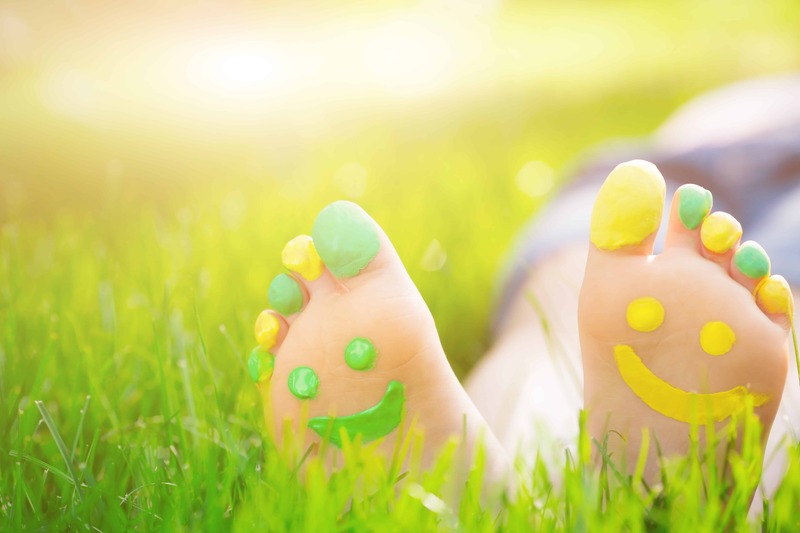 In addition to orthotics, a podiatrist can advise on other measures that can be taken as part of a multi-pronged treatment plan. This may include stretching, strengthening exercises or deep connective tissue massage. Bare in mind that being overweight or wearing poor footwear can contribute to the symptoms of flat feet. Warts can be the bane of a parent’s life because they are so easy to contract, yet notoriously difficult to get rid of. Often mistaken for corns, plantar warts appear as small (less than 5mm) rough, flat bumps on the bottom of the foot—usually on the underside of the toes, heel or forefoot. Some plantar warts have little black dots in the centre. This is caused by small blood vessels. Warts are the result of a virus, so they are easily transferred to other children and adults and are particularly common in swimming pools, gyms, communal showers and other places that involve water, warmth and bare feet. There’s a plethora of treatments for plantar warts but many are lengthy and not always successful. If over-the-counter non-prescription medicines don’t work, you can try a prescription medication such as salicylic acid or cryotherapy, which involves freezing the wart with liquid nitrogen. Alternatively, your local podiatrist can use laser treatment or a small instrument to remove the wart. To prevent future plantar warts, avoid letting your child go barefoot in high-risk places such as public showers and outdoor swimming pools. Want to know more about taking care of kids’ feet? Visit: mykidsfootdoctor.com.au. Are growing pains causing your child discomfort?